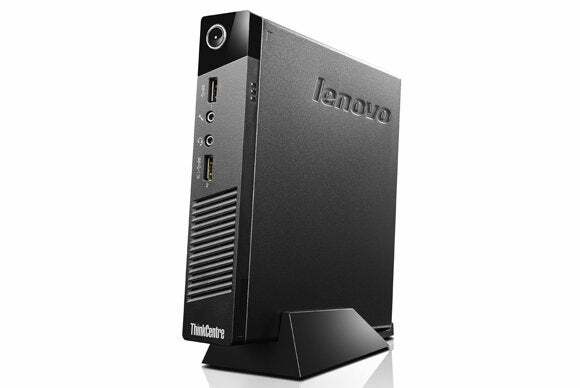 Lenovo today took the wraps off three diminutive desktop PCs aimed at small businesses with tight budgets. Details are thin so far, but two elements look promising: First, all three systems have management features that small business will appreciate (and that aren’t typically found in consumer machines at any price). Second, the price tags on each are exceedingly affordable. According to Lenovo’s press release, all three systems will include Smart USB Protection that provides IT managers the ability to control the computers’ USB ports. Presumably, the IT department will be able to lock down the ports so that users can’t transfer data to an unsecure storage device. All three of the machines will also be outfitted with hybrid hard drives that combine some of the speed of an SSD with the storage capacity of a conventional platter drive. Lenovo's ThinkCentre E63z is a 19.5-inch all-in-one that will sell for just $479. 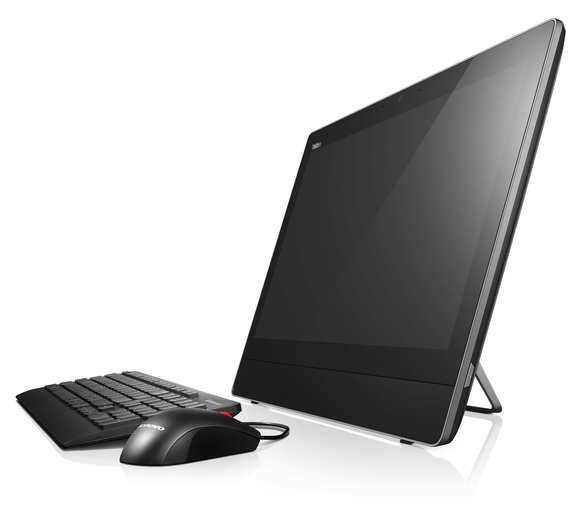 The ThinkCentre E63z is an all-in-one PC priced at just $479. Lenovo’s press release reveals little in the way of details about the E63z, other than to indicate that it has a 19.5-inch display with HD+ resolution. That likely means it’s something less than 1920x1080, while the phrase “also available with touch” leads me to speculate that it’s not a touchscreen, at least in its baseline configuration. The Lenovo ThinkCentre M53 will be small enough to be mounted behind a monitor. Lenovo didn’t provide memory or hard-drive specs, either. Lenovo indicates models with Intel Core i3 processors will ship later this year, so we’re left to assume that the $479 model that’s available now will have a lesser processor. 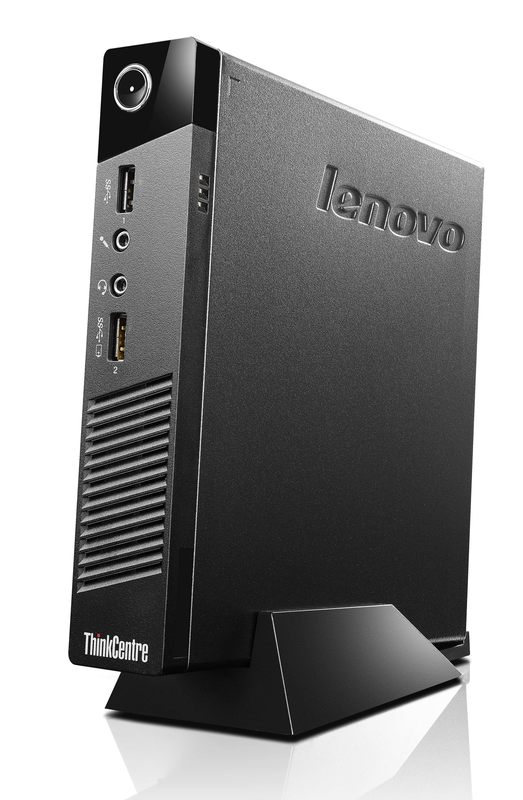 Lenovo is expanding its “Tiny” family with the ThinkCentre M53, a less-expensive cousin to the ThinkCentre M93p we reviewed in December 2013. 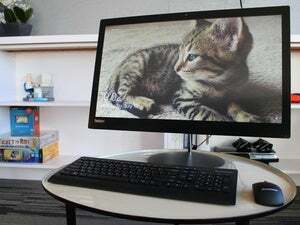 The new model will feature an optional keyboard that can power-up the computer without needing to touch the computer itself. That could be very useful in scenarios where you want to secure the computer’s I/O ports to prevent tampering or theft. Lenovo will also bundle a free cloud-based management tool with this system. Lenovo says the ThinkCentre M53 will be priced at $439, but it didn’t reveal which CPU, how much memory, or how much storage it will provide. Lastly, the ThinkCentre M79 will be powered by one of AMD’s A-series APUs (here again, Lenovo leaves us to guess exactly which one). It will have the same Smart USB Protection as the other models, but it will also feature TPM (Trusted Platform Module) 1.2 for data protection, and DASH (Desktop and Mobile Architecture for System Hardware) 1.1 for remote management (DASH is similar to Intel’s vPro technology). 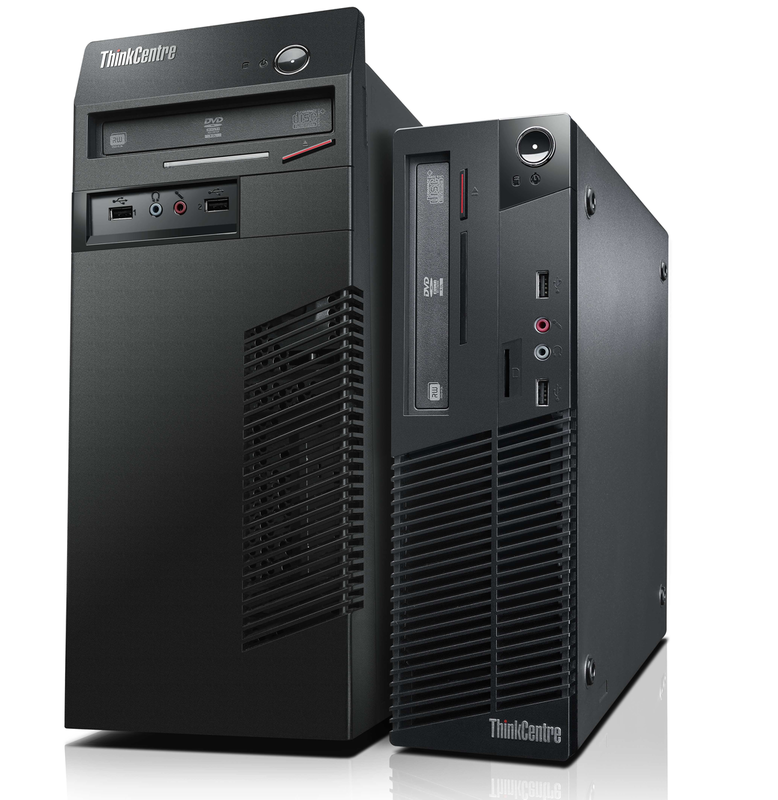 The ThinkCentre M79 will be available with either a tower or a small form factor enclosure. Prices for this system, which is available now, start at $449 according to Lenovo’s press release. It will be available in both tower and small form factor configurations.